Kuehne + Nagel has announced strategic partnership with Zebraxx to broaden service options and accelerate innovation in last mile shipment visibility. Kuehne + Nagel customers have enjoyed the benefits of Zebraxx for several years. In 2017 almost 10m transactions have been handled by the system. 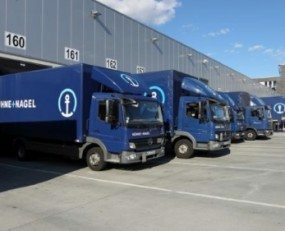 Now, the growing alliance will strengthen Kuehne + Nagel’s capacity to offer additional methods for collecting and sharing delivery information, such as real-time vehicle location, photographic evidence of the state of consignments and delivery confirmation, IoT validation or electronic proof-of-delivery (ePOD) – independent from backbone systems and carriers used. Customers will be further integrated in the data exchange and enhanced functionalities on mobile devices, like alerts or ePOD via social messengers, will improve the seamless interaction along the supply chain. Working with KN Login, Kuehne + Nagel’s monitoring and visibility platform, customers will benefit from a standardised single source for all delivery information, which further enhances the customer proposition and supports wider geographic roll-out.